Father’s Day changes dramatically once Dad is no longer independent, sometimes introducing questions of identity and authority as power is realigned. This can be especially difficult if Dad is in Massachusetts and you are living out of state. In early retirement, our fathers usually managed their own affairs and retained a psychologically important position of power in our lives – even if the life-long relationship has been more troubled than we might have hoped. But once Dad begins to depend upon us, the experience of honoring our fathers usually changes. Let us, then, take a moment to consider ways to celebrate this Father’s Day successfully, and perhaps to take a few lessons forward to the future. Make this a ceremony. Choose a different location or time of day from the average visit. Give him time “on stage,” as the center of respectful and loving attention. Many elders are on stage now only at the doctor’s office, talking about what’s wrong with them. Get some old pictures and ask him to tell stories about them, his life, and your family, so you can carry these forward and know your story. Include the grandkids; make the point to your kids that he is important, and they can give him the respect he deserves, for part of one afternoon. If the kids can manage it, have them think of something to say also about Granddad. Maybe a story they remember about him, or an update about them tailored for him. Spontaneous exchanges often don’t occur, but if you give it attention, everyone can benefit. Even if your father has early or mild dementia, ceremonies like this can be meaningful. People with dementia often do not retain short-term memories, but their emotional states are quite real. Your dad will know he is loved and being accorded respect; just this can make his day. This is a common occurrence. Remember to make today about him. Try to give him the day he wants – not the day you want him to have. Just for today, leave aside any issues that don’t affect his health and safety today. If he can’t be relied upon to take meds, or has problems with incontinence, alter today’s schedule enough to have someone there (maybe not you) to be sure it’s addressed today, but don’t let him know. Arranging the day to minimize the change of a tug-of-war will help. If a spouse or an old friend is an effective buffer, take the time early in the week to arrange for that person to attend as well. If possible, speak to him or her and ask for support so that Dad has the best day he can, and you can survive with equanimity. Consider writing a letter before the event and read it aloud when you visit. This gives you a chance to choose your words carefully and avoid references to hot button issues that can bedevil occasions like this. Keep the letter focused on what you can honestly be grateful for or can admire about him. Even if he failed to be as good a father as you would have wished, or you sense his disapproval for choices you have made, these matters can be left for another day (or not). For today, and for this letter, choose to focus your attention on respect and gratitude – and on love, if it is possible. If your father has a history of emotional abuse, it is not your job to sit through that until the day he dies. In those cases, find a way to pay your respects as appropriately as possible, but know your limits. If unhealthy behaviors start, give yourself permission to excuse yourself politely and respectfully, and leave. Only you know those limits. This is a season of graduations and summer jobs, of vacation plans and other hurly-burly attendant to the lives of our sandwich generation. It is easy to swing by and skip taking much time to give our fathers time to express our gratitude for their parts in our lives, whatever that part may have been. 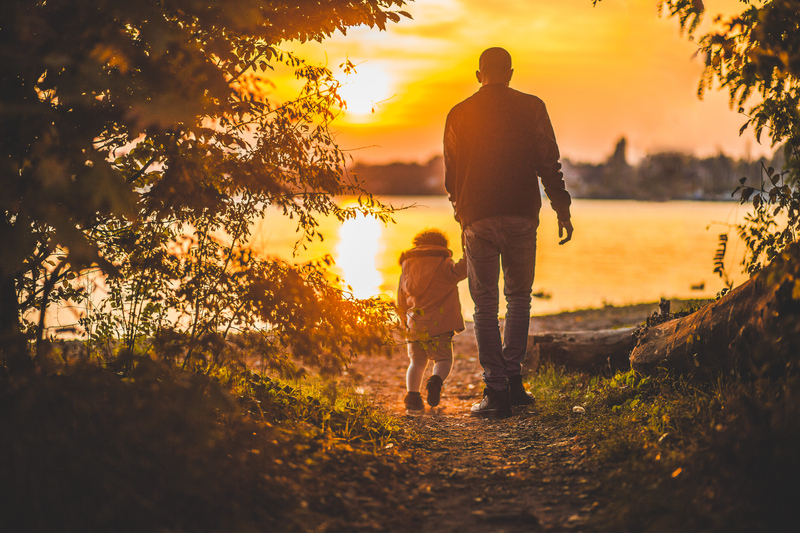 But conscious gratitude is a habit worth cultivating, and with a bit of thought, you can make this a Father’s Day to remember.